It's that time of summer again when tropical depressions, although thousands of miles away, make the surf more dangerous. Ocean City Beach Patrol Capt. Butch Arbin says the waves increased in height and had been breaking on the beach this past weekend, contributing to the number of injuries. The beach patrol handled 41 medical-assist calls from Friday through Sunday. Many were for persons with possible neck and back injuries. Capt. Arbin noted that most anybody who is injured in the ocean is treated as if he/she suffered a spinal injury. Lifeguards typically put the patient on a backboard along with a neck collar while waiting for EMS. Patients who appear to be more seriously injured, such as those who suffer numbness or tingling, or are unable to move their arms or legs, are typically taken to a trauma center, often by helicopter. On Friday, a 53-year-old man was pulled from the surf by the beach patrol at 62nd Street just before 2 p.m. 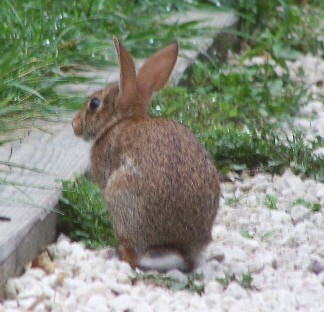 He was reported as briefly unconscious, then conscious but suffering paralysis above his waist. Around noon on Saturday, a 28-year-old man complained of severe neck pain after being injured in the surf at 74th Street. Also on Saturday, a 41-year-old man complained of trouble breathing and could not feel anything in his arms and legs after he was injured in the ocean at Surf Avenue around 2:20 p.m. The fourth medevac was on Sunday for a 31-year-old male boogie-boarder (shown below). He was thrown face-first into the surf on 73rd Street around 11:10 a.m. He said he was unable to move and had to be pulled from the surf by lifeguards. Initially he was unable to feel anything in his arms and legs, but later said he felt tingling and pain in his neck. The lifeguards assisted by EMS personnel put the man on a backboard, and then took him by ambulance to Northside Park where Maryland State Police helicopter Trooper 4 (below) flew him to a trauma center. In Delaware, only one person was injured this weekend in the surf and flown to a trauma center. Tim Cooper, Sussex County EMS spokesperson, says a 17-year-old girl was injured in the surf at Fenwick Island State Park around 2:25 p.m. Sunday. She was flown to Peninsula Regional Medical Center on the Lifenet helicopter. Route 1 was shut down so the helicopter could land on the roadway. An anonymous tip and good police work may be responsible for the capture of a man suspected in a rash of residential and construction burglaries in downtown Rehoboth Beach this past winter. Rehoboth Beach police arrested 42-year-old Adam R. Schick (pictured below) on Wednesday after he allegedly sold stolen property to an undercover officer. That property was believed to have been taken during one of the burglaries. In a news release, Detective Kevin L. Jones says police raided Schick's residence at 119-C Laurel Street shortly after 4 p.m. seizing a large amount of suspected stolen property including TVs, electronic equipment, power tools, bicycles and various household items. Police worked well into the evening taking inventory and moving away the goods. Police also impounded this Chevy possibly used in the crimes. A second man was also captured with Schick, but Detective Jones says he was released without charges after police determined he was not involved in the burglaries. 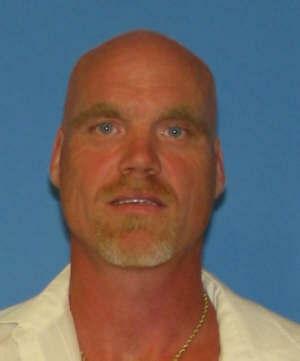 Schick was charged with 59 counts including theft, burglary and possession of marijuana. Detective Jones says he may face additional charges. 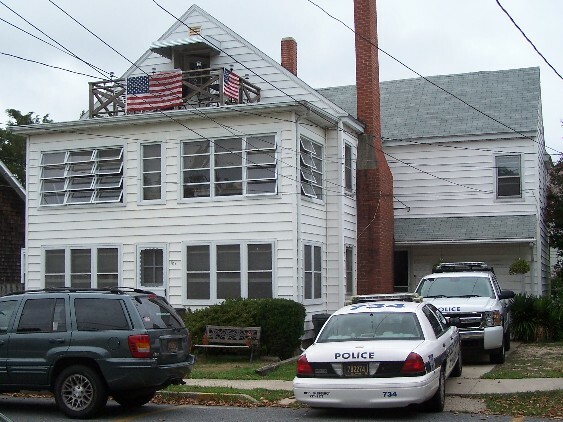 Schick lived in this house in the second block of Laurel Street that had been subdivided into multiple units. A neighbor said Schick was a house painter and suspected he used his access to steal the items. The anonymous tip was called in to Delaware Crime Stoppers and forwarded to the Rehoboth Beach Police. Detective Jones says they are investigating if Schick were involved in other crimes. The police ask anybody with information to contact Rehoboth Beach police at 302-227-2577 or Crime Stoppers at 800-TIP-3333. A man fishing at Indian River Inlet was bitten by a shark Monday evening. A DNREC spokesperson told WUSA-TV that the fisherman tried to grab a 3.5-foot tiger sand shark by the tail when it bit him in the forearm around 7:40 p.m. The man had been fishing just west of the Coast Guard station. 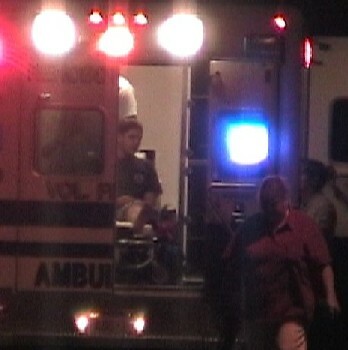 A Rehoboth Beach ambulance took him to Beebe Hospital in good condition. A DNREC park ranger threw the shark back into the inlet after taking several pictures, including this one below which comes via Melanie Rapp, DNREC public affairs. DO YOU KNOW WHERE THE JETTY IS? Rehoboth Beach Patrol Capt. 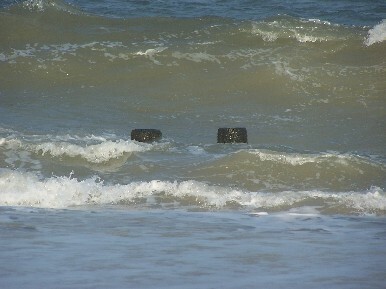 Kent Buckson asked his guards late Friday afternoon to check which jetties had warning signs, and which no longer did. None of them were reported still in place. The beach patrol uses no-swimming flags to mark the jetties while the guards are on duty. 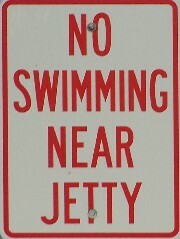 In the past, the city has also relied on street signs (like the one below) to warn swimmers when lifeguards are not on-duty. The jetty sign check may have been prompted after a surf accident Thursday night. A man in his 50's reportedly dove into the surf and struck his head around 6:15 p.m. near Olive Avenue. He was taken to Beebe Hospital. High tide that evening was at 4:37 p.m. The original report was that the man struck his head on a rock. But there does not appear to be rocks on the nearby jetty that's south of Olive Avenue. One of the guards discussing the jetty signs said a beach goer told him Friday morning that the man actually struck his head on the jetty. For the second time this summer, Delaware State Police are investigating a body discovered by beach goers in the surf. 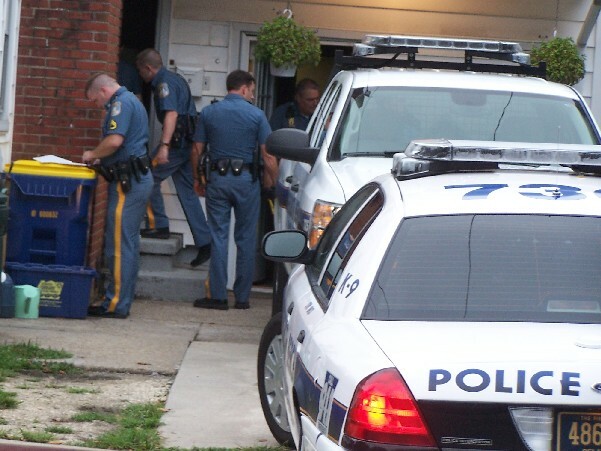 As a coincidence, the same day the state police identified the man found dead on June 19 in the Delaware Seashore State Park, police are called to investigate another body. 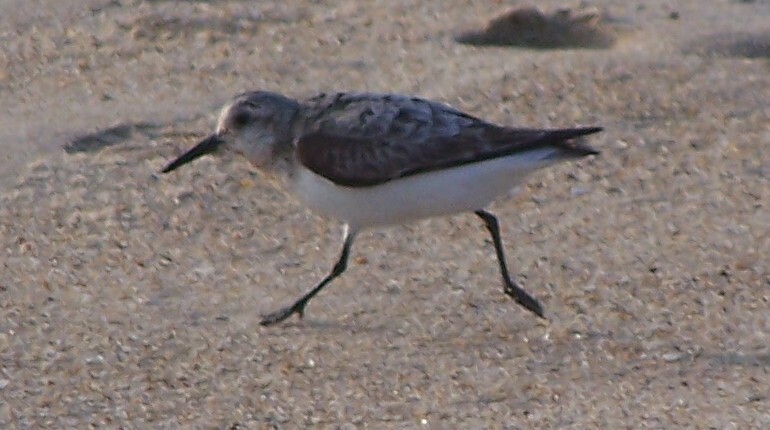 This one was found in the surf at the Fenwick Island State Park (below). The second body was found around 7 p.m. on Monday, August 20. Detectives and the medical examiner spent a couple hours on the beach searching for clues before removing the body around 9 p.m. According to a police news release, the body is described as a man possibly in his 50's wearing cut-off jeans and no shirt, and may have been in the water for one or two days. WMDT-TV reported Friday that police have not released his identity because they are still attempting to notify the next of kin. Firefighters from Accomack County assisted Worcester County with this house fire at Fifth and Market Streets in Pocomoke City. The blaze broke out around 2:45 p.m. on Saturday. One resident was taken to Peninsula Regional Medical Center. 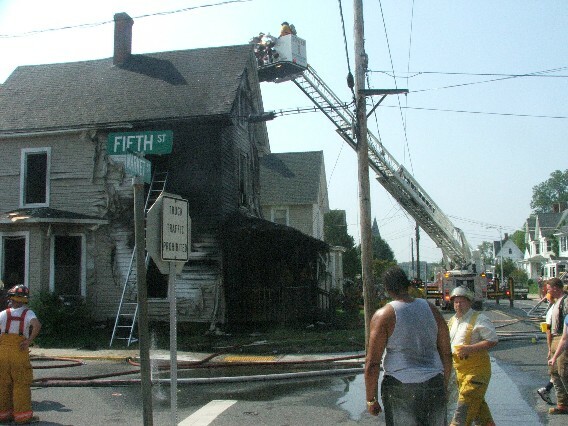 The Red Cross was requested to assist with relocating at least five families. 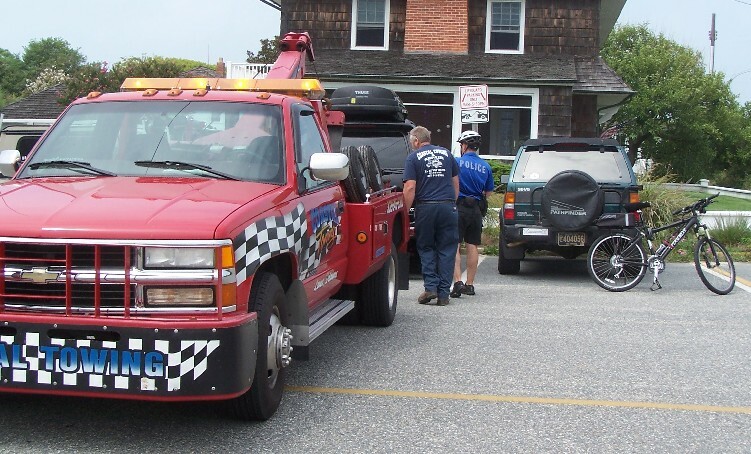 Coastal Towing removed a Toyota Sequoia with New Jersey tags around 1:10 p.m. Friday. 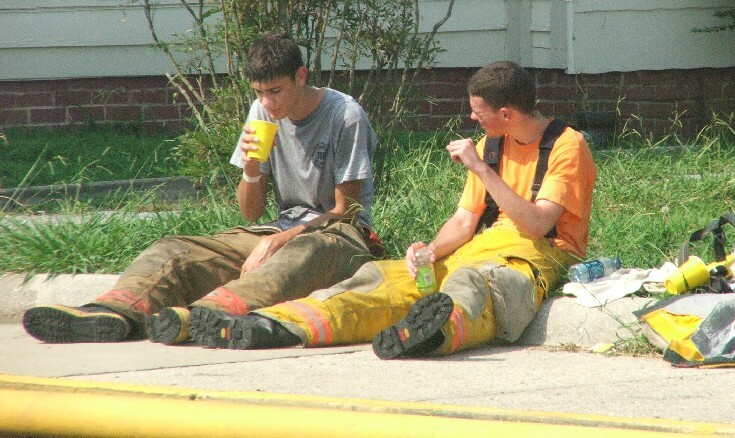 It had been reported by a lifeguard in the reserved lifeguard parking on Pennsylvania Avenue. This was the 21st lunch-time tow request for an unauthorized vehicle parked in a lifeguard space this summer. The Sequoia had a Rehoboth Beach parking permit hanging from its rearview mirror.